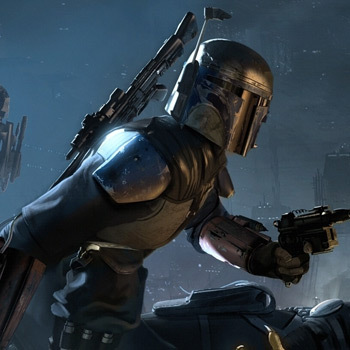 Disney has chosen not to renew the Star Wars 1313 trademark. All hope is lost. Even after Disney laid off the entire staff at LucasArts, many gamers thought that Star Wars 1313 would survive the transition. After all, the game was supposedly deep into development, and completing an unfinished title is typically more cost effective than starting over. However, when Electronic Arts took over the Star Wars franchise, the chances of Star Wars 1313 being resurrected practically disintegrated. And just before Christmas, Disney failed to renew the title's trademark, which officially asphyxiates any remaining hope. The United States Patent and Trademark Office currently classifies Star Wars 1313 as "Abandoned because no Statement of Use or Extension Request timely filed after Notice of Allowance was issued." Obviously, Disney and EA could revive the trademark, but the fact that they let it expire proves that the game isn't on the radar. Last June, EA teased a brand new Battlefront sequel, which is scheduled to hit the market in 2015, and the publisher is already handling Star Wars: The Old Republic. So, it's probably safe to assume that EA isn't going to throw 1313 back into the mix. After Star Wars 1313 was canceled, details about the game slowly started leaking out of Disney's bunker. In September, the folks at IGN got their hands on a 15-minute demo that had been prepared for E3 before Disney shelved the project. Surprisingly, the demo revolved around everyone's favorite bounty hunter: Boba Fett. The fact that Fett would have been the star of 1313 makes its cancelation even more painful. Hopefully EA's Battlefront sequel will fill the void when it's finally released. Though, if Battlefield 4 has taught us anything, it's that EA knows how to turn a brilliant game into a gigantic train wreck.